Your first stop is Green Island, a beautiful coral cay covered in rainforest and surrounded by white sandy beaches and magnificent coral reefs with abundant marine life. Glide just metres above the canopy in Skyrail's comfortable gondola cabins which provide spectacular and uninterrupted views of the rainforest. Your return trip is via the Kuranda Scenic Railway, a spectacular journey comprising unsurpassed views of World Heritage dense rainforest, steep ravines, picturesque waterfalls. 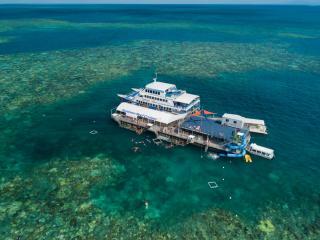 In one day you can experience the best of North Queensland on this Skyrail & Reef Tour from Big Cat Green Island Reef Cruises. 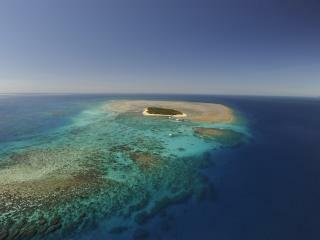 Spend 2 hours on Green Island exploring the coral reefs and magnificent marine life that inhabit them. With spectacular and uninterrupted views of the rainforest, Skyrail provides guests with a unique view of the World Heritage listed rainforest from above the canopy! You will also have free time to explore Kuranda - the village in the rainforest.